Cuneta is a duo formed by Alba Murcia and Vicent Pelechano. Since 2006 they have been delivering parcels of electronic music and explored various terrains building their music that blends experimental music made with found objects and a certain electronic pop. In 2008 they began “Músicas Brutas / Raw Musics II” a very special project within their biography. The project began while conducting a music workshop with a group of people with physical and psychical disabilities. The aim: to make music with people without musical prejudice and preconception, people whose minds are free to wander about in the boundaries of music, sound and composition. This first approach was formalised by Cuneta using recordings done Clara Montana G. Murcia; Alba’s sister who had Down Syndrome. The recordings are based on improvisations using different instruments and voice and they were published as the first “Músicas Brutas. Raw Musics” on January 2013. Finally we get to “Músicas Brutas / Raw Musics II” after the first glimpse of the project, Murcia and Pelechano ended up in Bristol UK. There they conducted a workshop at the National Star College an institution devoted to education and personal development of young people with complex disabilities. Through a series of sessions with the inmates of the college Cuneta assembled a variety of recordings that ultimately conform what’s presented here, the second instalment and a long time awaited project by this duo from Valencia, Spain. "Músicas Brutas / Raw Musics II" can be understood as many things, and can be approached from many perspectives, disciplines, etc. In their own words Cuneta states that this project primarily seeks to attend in various issues concerning the people involved in the project. While trying to set up an album Cuneta is also providing tools to people with disabilities or people with different needs to understand sound as a medium as an alternative way to engage, express or communicate freely without musical constrains. On their workflow Cuneta goes beyond the creative process and states that regardless of the condition anyone is capable of being creative, and no boundaries to creativity exist if the will is to work freely. Finally, Cuneta aims to provide visibility to those people involved in the preliminary workshop as artists working in a creative project that transcends the walls of the caring and educational institution. “Músicas Brutas / Raw Musics II” is a beautiful tale about how to reclaim difference as a booster of creativity and inspiration. Recorded at National Star College (Cheltenham, England) on 8th & 9th October 2013 during Cuneta’s Raw Musics workshop. Mixed in Bristol between October 2013 and February 2014 by Cuneta. Cuneta are Alba Murcia & Vicent Pelechano. The National Star College is a provider of specialist further education, training and personal development for young people with complex physical disabilities, acquired brain injuries and associated sensory, learning, medical, emotional and behavioural difficulties. 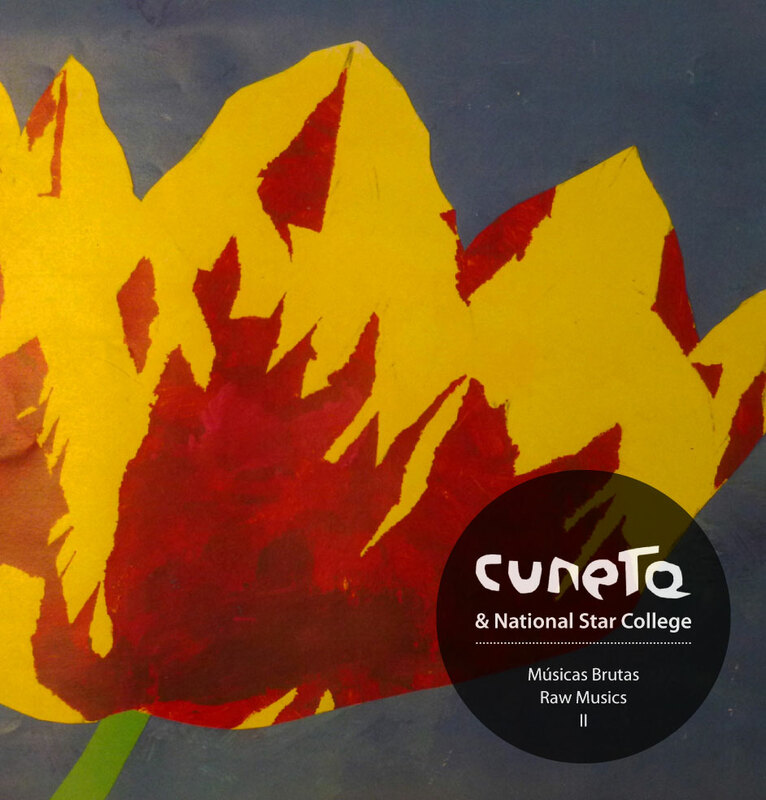 All amazing students and staff members from the National Star College Creative and Performing Arts Department (CAPA) who joined Raw Musics workshops and produced the picture for the album cover; Charlie Baxter for his support and collaboration; Juanjo Rico from Moments Arts; Paula Olivares for helping with translation tasks; Caseta Mágica for the artwork; Audiotalaia netlabel and special thanks to Paul Tarling, CAPA director, for trust in Cuneta. Músicas Brutas / Raw Musics II by Cuneta is licensed under a Creative Commons Reconocimiento-NoComercial-CompartirIgual 4.0 Internacional License. Creado a partir de la obra en https://archive.org/details/at072Cuneta.